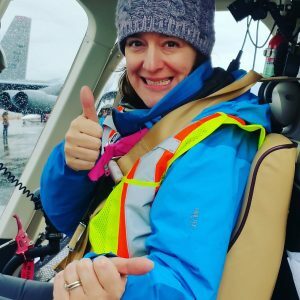 In my quest to see all “geology” movies (no matter how cheesy or inaccurate! ), I finally watched Gold (2016). This film hits closer to home for me than some other geo-movies, like Volcano, The Day After Tomorrow, or the heart-wrenching Impossible, since I live and work in Vancouver. This city is home to more junior exploration companies that any other so I occasionally mix with slightly similar characters and understand the games they play! 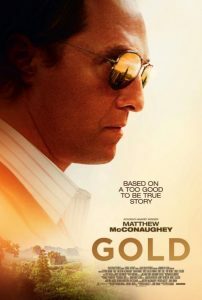 In Gold, Matthew McConaughey plays Kenny Wells, a sleazy, drunken “prospector desperate for a lucky break”. His exploration/promotion business, inherited from his father, looks for gold deposits, and hopes to find investors willing to pay to develop them into mines. The company goes downhill after his father passes away, and the ragtag crew take up office in the local tavern, spruiking small, pitiful projects to gullible investors between swigs of beer and whiskey. 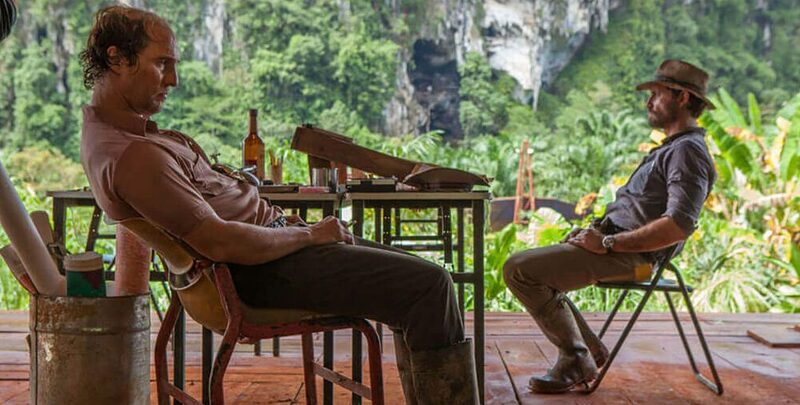 One day, Wells hears that a geologist, Michael Acosta (played swarthy Edgar Ramirez), may be sitting on a literal gold mine in the uncharted jungle of Indonesia and travels to the project.